Vertical blinds are made up of two materials, PVC and fabric. Both of these types of blinds offer a great privacy and glare protection, but if you want to add some soft touch into your window, a fabric vertical blinds is an excellent choice. Our client from Pampanga City, Philippines opted for a fabric vertical blinds for their sliding glass door. 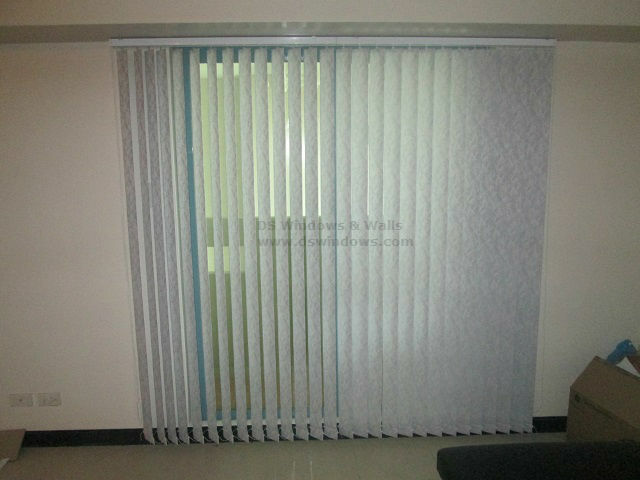 They purchased fabric vertical blinds because of its unique and soft designs that will suit best for their home interior. Having a fabric vertical blind in your home helps block the sun entering through your window. It can also block the radiation to help your house in keeping it cool. Fabric vertical blinds are made in soft fabric which comes in a wide variety of colors, materials and textures. It also helps provide more style for your home decoration. 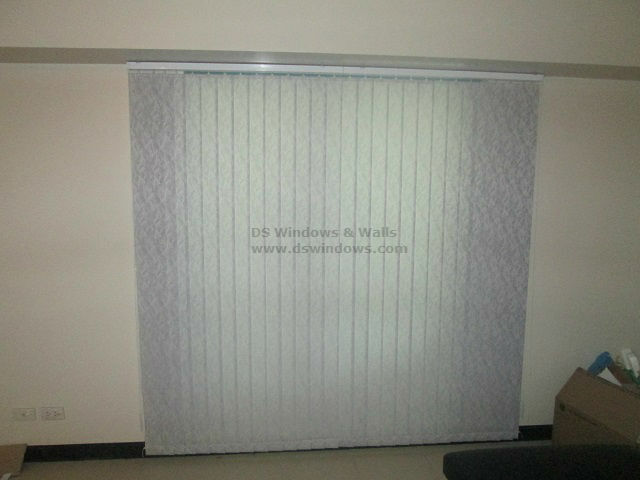 DS Windows & Walls offers different variety of blinds, accordion doors, wallpapers and carpets. To know more about our products, you can visit our shop located at 4th level Waltermart Makati City, 3rd level Robinson Metro East, Pasig City and 2nd level Pacific mall, Lucena City. For outside Metro Manila areas like Pampanga City, you can order through our online web store angryblinds.com.ph. If you have questions and inquiries, you can call us at (02) 893-1373 / (02) 403-3262 / (02) 668-9668 or 0916-311-3909. © 2006-2019 by DS Windows & Walls Interior Supply| All rights reserved.